When sandals are as pretty as Gianvito Rossi's, make them the starting point of your entire look rather than an afterthought - or #DressFromTheFeetUp. 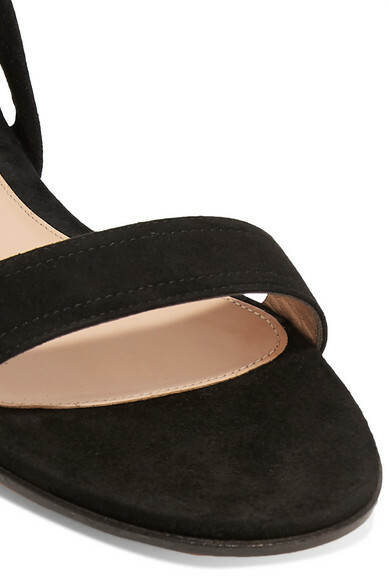 Made in Italy from supple black suede, this pair has wide ties that elegantly wrap around the ankle into bows. The cushioned leather footbeds make them a really comfortable choice, too. Shown here with: OCHI Shorts, Goldsign Tank, Chylak Shoulder bag, Alighieri Bracelet.